Mirabella Neon Muse line was received for editorial purposes. All opinions are my own. Everywhere you look, neon seems to abound. Shoes, shorts, clothing, jewelry, even bags and accessories. It was only a matter of time before this hot trend made its way to cosmetics. I mean, sure, we’d seen really bright colors of nail polish, but there’s more. 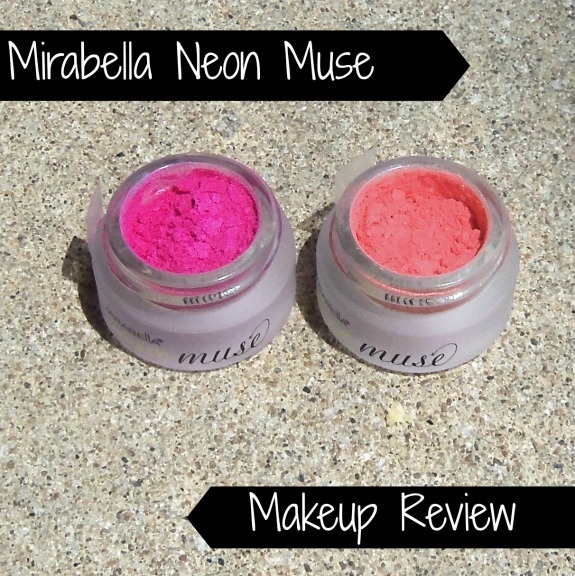 Mirabella’s new Neon Muse line includes neon shades of cosmetics for your face. The line consists of two loose mineral pigments – I Believe in Pink and Tale of Tangerine. 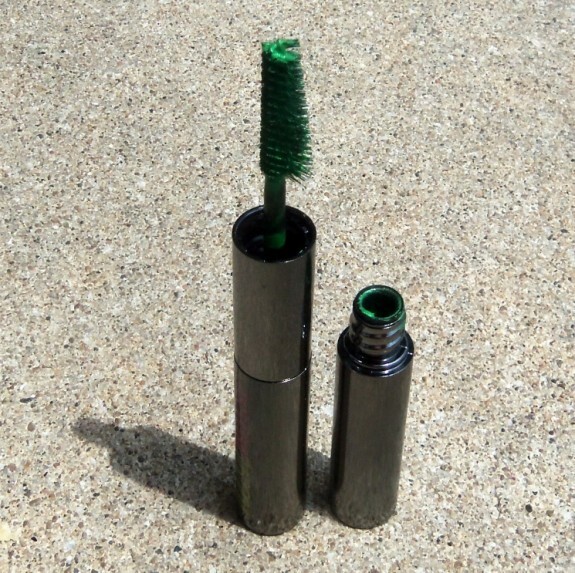 There’s also double-ended mascara that has bright blue on one side and a vivid green on the other. At first, the items look a little daunting. I mean, the I Believe in Pink is like, really bright neon pink. However, the pigments are really usable. 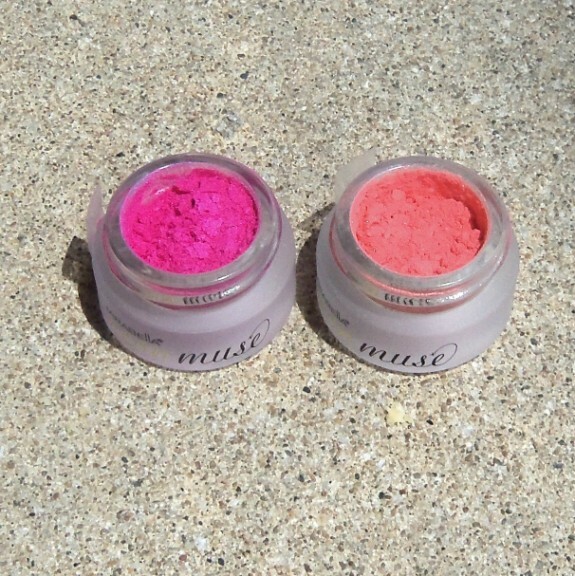 Both can be used wet or dry, as with a lot of mineral makeups. When using the pigments wet, they keep the brighter, neon shades. But when you use them dry, something magical happens. 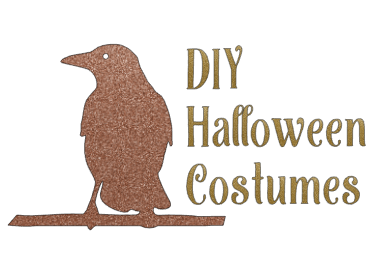 They become gorgeous, very usable shades of the same color that almost have a bit of a pearlescent sheen. So pretty! These swatches were taken when my hands were wet. 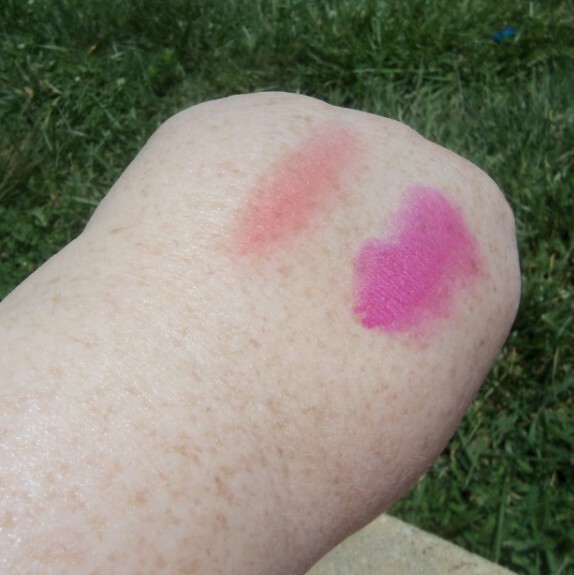 I believe in Pink and Tale of Tangerine are also gorgeous as blush colors when used dry. I Believe in Pink is a little on the vivid side, but Tale of Tangerine is a perfect peachy shade. The Mascara is similar. 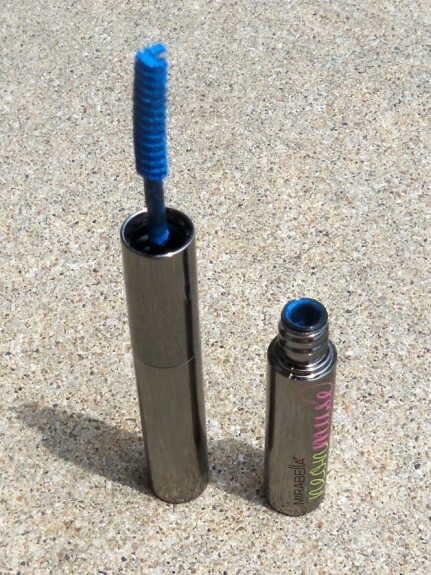 The blue and the green both look pretty bright on the mascara wand. When you apply them, they become really wearable. People can tell that you’re wearing a colored mascara, but it’s not distracting. Want a brighter shade? Just add a couple coats of mascara. You can also change the look up by applying black mascara first, and then using the colored mascara as a top coat. 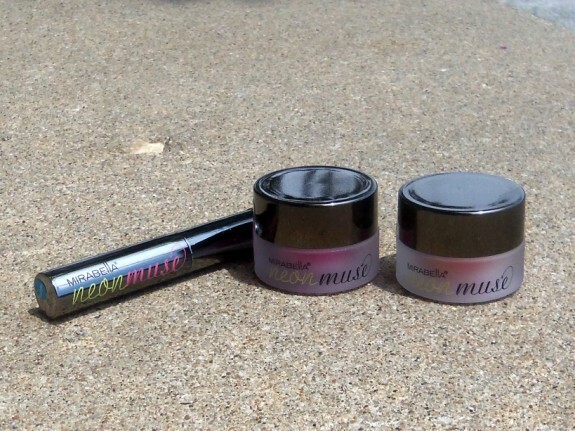 While the Mirabella Neon Muse line is vivid in its colors, the shades are totally wearable, even for those who lean more towards the neutral shades. Ooh, fun I love vivid neons for makeup. Especially the mascara in blue. Thanks for sharing. While I’m not a make-up person, I’m sure my daughter could have fun with this! Those are such fun, vivid colors! I think I would wear the bright pink one as a lip stain, over top lip gloss. That mascara would be fun for a moms night our or Halloween costume! Great colors. I love the way the powders look.